Hi, regarding the image above. I created a test which has an error in it. However when the test runs, the output screen doesn't actually tell me where the error is. How do I fix this? 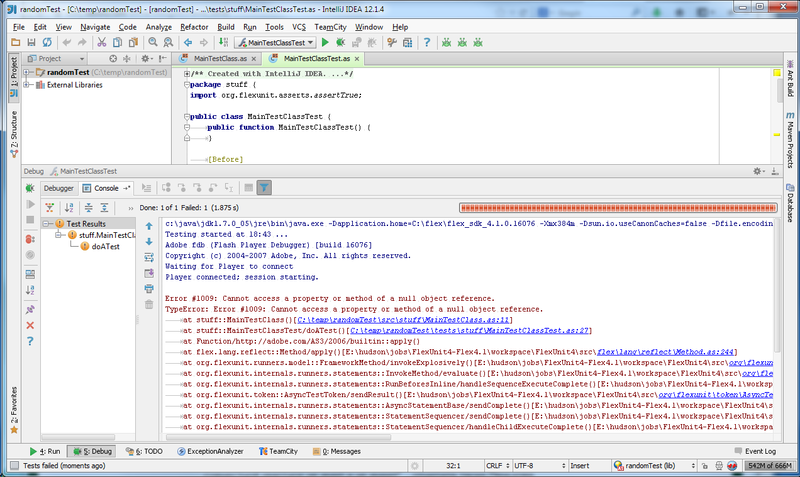 I tried putting a breakpoint but that didn't seem to work either. May be more info if you select parent node in the test result tree? Or may be Flash Player gives popup with details? Error 1009 stands for "Cannot access a property or method of a null object reference." What kind of test is this? Any special initialization? Try to catch the execution with a breakpoint at some early stage, like setUp() method. I'm ready to evaluate the issue if you can attach a sample project. There was no popup, and there clicking higher on the tree doesn't give me any more information either. I purposefully made a failing test by passing in null to the constructor of a class that required another class as a constructor parameter. I'm testing out inteliJ and wanted to see how it worked. Is there a configuration or something that I need to set up to see stack traces when running flexunit tests? Here is a picture of my module dependencies. I will try creating a new blank project and see if I can send that to you, or if the problem is not reproduced. Thanks. Hm, I get detailed test results. 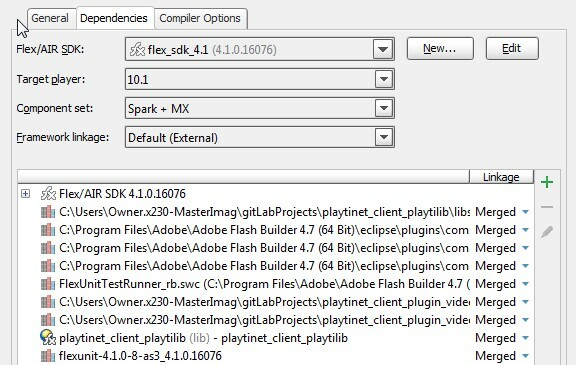 One idea: make sure that you have debugger version of the Flash Player where tests are executed.